As a business leader, you often have to make snap decisions while walking and chewing bubble gum. It’s not always easy, but it’s part of the job. Also, it’s a skill you can improve. How? Take an improv class! Because improv isn’t just about comedy. It’s about being in the moment, trusting your gut, accepting mistakes, and moving forward. Sounds a lot like what you do, right? Before doing improv, participants train their minds to sharpen their awareness, enhance their listening skills, and be ready for anything. In business, it’s impossible to know exactly what will happen next. So the best thing you can do is to sharpen your awareness, enhance your listening skills, and be ready for, well, anything. Improv participants have to be willing to mess up big time, look foolish, and move on. Whether you like it or not, you will mess up big time and look foolish too. Perhaps more often than not. You may have maxed out all your credit cards and spent months locked in your room, only to emerge with a load of debt and obscene body odor. The key is to be willing to accept this and move on. And to take a shower. Improv is all about what is happening now, because that’s where life is happening. As an entrepreneur, you should still plan for the future, but be mindful of the present as well. Keep an eye on today’s finances, metrics, market, and customers, and trends. It is important to balance the future and the present, long-term strategy with short-term tactics. Good improv participants are good listeners. They don’t think about what they’re going to say next. They listen to what has been said, then build off of it. The next time you talk to your customers, make sure you listen. Put your problem solving urges aside so you can process what they are saying. “Don’t talk about doing it, do it.” Be a shark. Keep on moving. If you suddenly find yourself going the wrong way, turn. Move quickly and course correct quickly. If you’re debating between doing more data analysis and taking action, I can help end that debate: take action. Doing improv means learning not to censor or judge your own thoughts. Improv participants express themselves sincerely and genuinely. And authentically. Leaders who act this way tend to inspire others to follow them as well. Perhaps you’ve heard of the Serenity Prayer: “God, grant me the courage to change that which I can, the serenity to accept that which I cannot, and the wisdom to know the difference.” It’s a powerful principle, one that I use in business and in life. The serenity to accept that which you cannot control is the key here. If you cannot control sometime, like the economy, there is no benefit in worrying about it. Beyond being willing to make mistakes is the belief that there are no mistakes – only actions that lead to positive results, or lessons to be learned (which in itself is a positive result). When you are creating a new company, every step you take will be teaching you a valuable lesson. Improv is a team-based activity where trust for others is a requirement. Same goes for a business too. Trust yourself, your instinct, your impulses, and your choices. Trust your team, for they are helping you achieve the vision of your business. Speaking of teams, improv participants don’t just trust their teammates, they rely on them. This interdependence is what makes improv work. And yes, a business is no different. If you don’t depend on others, you’ll never be able to grow your business. Take the time to build a solid, dependable team, then trust them to help move the business forward. Ah yes, a bonus principle. This is a pervasive idea that weaves through all of the others. It “implies acceptance, but not acquiescence.” It is the opposite of “No, but…” To be a successful business leader, you will need a similar attitude. They are not problems in your way, but challenges to overcome. They are not mistakes that hurt, but lessons to learn. Want to know more about improv? Keith Johnstone’s book Impro: Improvisation and the Theatre is a classic. Start there. If you would prefer hands-on training, sign up for a local improv class. It is not about being funny. It is about being comfortable enough with yourself to think on the spot. And that is a skill any entrepreneur needs. How well do you know yourself? The fourth chapter of True North: Discover Your Authentic Leadership strives to help develop self-awareness by assessing your leadership strengths, shortcomings, and development needs. After reviewing the feedback, to what extent do you see yourself as others see you? How strong is your basic self-awareness right now? I honestly thought I was being a little cocky with my self-assessment. Instead, it seems I am a little hard on myself. Just a little. To be cocky again, I would say my self-awareness is pretty darn good right now. What are your strongest capabilities or talents? One of my strongest capabilities lies in an empathic nature that enables me to connect with others. Way back in fifth grade, my teacher told me, “Never judge a person until you’ve walked a mile in his shoes.” That maxim stuck with me, permeating my everyday thoughts and interpersonal encounters. Every time I engage in a discussion or debate, I put myself into the other person’s shoes to understand his/her point of view. Oddly enough, this happens so much that I sometimes find it difficult to be righteously indignant with people if I can understand why they’re being insulting or arrogant, even if I feel like I should be righteously indignant with them. Go figure. Other capabilities and talents I consider as strengths are an analytical temperament, the ability to think critically, the comfort of making mistakes and learning from them, and the desire to constantly set and strive for long-term goals. As a leader, my empathic nature allows me to build strong relationships and inspire others. I know I’m not an expert in every field I want to be an expert in, so I’m thankful for the brillant friends I’ve made. There’s this anecdote about Henry Ford that I like. During an interview, he told a reporter to ask him any question he wanted about his business’ operations. So the reporter asked for an obscure detail, like how many nuts and bolts go into a Model T. Ford then picked up his phone, called one of his lead engineers, and and gave the reporter the answer. Ford’s effectiveness as a leader was not that he knew everything there was to know about his business’ operations. It was the relationships he made, the people who worked with him, and his social network. I aspire for the same kind of effectiveness. What are your greatest needs for development as a leader? There are situations where I am nervous and out of my element. Public speaking, approaching investors, talking to the media, and similar situations can be nerve-wracking. I’m sure I’m not alone in these. But as a leader, these are necessary skills to learn. Toastmasters was one solution I used to use. Once my schedule clears up, I plan on finding a local chapter and continuing. The best way to approach investors, in my opinion, is to not need them, bootstrap, and build a great business. Then they’ll come to us. As for speaking to the media, well, perhaps I’ll attend a media training workshop when the time comes. Do you need structure in your job? To what extent are you comfortable with ambiguity and change? I love ambiguity & change, personally. Too much structure & routine bore me. My attention span at any particular role is about one year. After that, I tend to need drastic change. Before joining Yahoo! (YHOO), I stayed at companies for approximately one year. While at Yahoo, I was lucky enough to change roles & responsibilities significantly enough to keep myself engaged. My career there progressed this way: web developer -> technical manager of a small team -> technical manager of first-line managers and a larger team -> senior product manager. Each role was on a new property with a new team; each was different enough that I was always challenged. That’s the way I like it. What level of financial security will allow you to feel comfortable? I know how to live within my means. It is a cross between bare necessities and a handful of luxuries. To be honest, I’m fairly comfortable right now, though I will be getting married and starting a family soon, so my financial needs will be increasing. To what extent do you need to be leading a team? That’s a good question. I never thought about it as a need. But I sure enjoy being a leader in some way. If I won the lottery and never needed to work again, I would still start a business or non-profit venture. So perhaps I do have a need to lead. How much time do you need with your family or loved ones each week? Family comes first, always. I need as much time as they need me. Way back in college, I planned on entering this industry because of the ability to work from home. That meant being able to take my kids to softball games & guitar lessons, spend time with my wife, and take care of my parents if & when they need me to. How much personal time do you need each week to recharge? Perhaps a few hours a day. I’m not a morning person, so the first couple of hours in the morning are generally spent slowly charging up and getting ready for the day. Then at night, I like to unwind with my family or a good book. Writing also serves as a way to recharge. What are your vulnerabilities, blind spots, and shadow sides? I certainly have some pet peeves. I’m impatient with impatience. I’m close-minded about close-minded people. And people who speak in absolutes absolutely bug me. I know, I just wrote that I’m empathic and can walk in other peoples’ shoes. But I have my limits, especially if someone’s ignorance, arrogance, or obnoxiousness is directed toward someone I care about. If it is aimed at me, that’s fine. I can take it. I can even take criticism; I’m far from perfect and I know it. But leave my loved ones alone. Admittedly, my memory isn’t as sharp anymore. To compensate, I’ve gotten into the habit of relying on digital solutions to extend my memory. This means using Google Calendar (GOOG) to manage my schedule, Gmail to manage my tasks, and my Apple iPhone (AAPL) to give me access to those tools wherever I am. It’s an efficient system, though I really need to do some brain teasers & memory games so I’m not a total moron when I’m a grandfather. To what extent do you use defensive armor as a shield to protect yourself from exposing your vulnerabilities with others? Everyone has defense mechanisms to protect their vulnerabilities to some extent, that’s only natural. I am a fiercely private person, if you can believe it. There are aspects of my life I will never share online, especially if they pertain to my family. But everything else is filtered appropriately. Even my online presence is part of my privacy strategy – if I can control what appears online (my personal brand, so to speak), then I can control what is seen and what is hidden. The genericness of my name also helps with the hidden part. Back to vulnerabilities. This could be the New Yorker in me, but I’m laced with what I consider a healthy level of trust (or lack thereof) for complete strangers. I don’t share my vulnerabilities with a stranger, nor do I believe they are out to screw me over. As I get to know someone, my trust & comfort level with them increases; inversely, my defensive armor decreases. But to a point. To see any more of my vulnerabilities means you need to get into my inner circle of family, friends, and colleagues. At the same time, I believe most people strive to be good and not overtly malicious, though we are all born selfish. I give most people the benefit of the doubt. So I share my thoughts, lessons learned, and whatever advice I’ve picked up with complete strangers. It’s my small effort in perhaps helping one other person in this huge world of ours. To the extent where I can share a vulnerability and connect with that person safely and without consequence to me or my family, I will do it. How can you become more comfortable in sharing your vulnerabilities with others? I am comfortable with my vulnerability sharing levels at the moment. I don’t think it serves any good to pour my heart out to a prospective client, for example. Nor should I hold all of my frustrations in. Everyone needs an outlet. I have mine, which include my inner circle. My circle of trust, where I keep nothing from you, you keep nothing from me, and round and round we go. How comfortable are you with who you are right now? I am very comfortable with who I am. I am an idealistic realist; I am content with my life, but not satisfied. This means I’m unsatisfied enough to strive for more. At the same time, I’m content, happy, and very grateful for the life I have and the decisions I’ve made. And I look forward to the future eagerly. What is your greatest crucible? The third chapter of True North: Discover Your Authentic Leadership explores the experiences that involved the greatest pressure, stress, and adversity in one’s life. Here is the exercise that follows that chapter. What resources did you call upon? How did you resolve the issues, if you have? How did it shape you and your views about the world? It’s tough to choose just one experience as my greatest crucible. There have been many difficult experiences that altered my life. Here is one that comes to mind. Back at Yahoo! (YHOO), I was given the honor of managing a large group of talented web developers. However, the team grew quite large, larger than my experience could handle at that time. In one incident, a few members of my team helped launch a redesign of a major Yahoo! property. Unfortunately, this redesign was plagued with some troublesome bugs, a few of which were my team’s responsibility. Those few, unfortunately, were high-profile showstoppers and took a long time to fix. Too long. Soon, the bugs caught the attention of a VP, who sat me down to talk. I still remember sitting there with a huge knot in my throat, trying to explain how the errors occurred. Fortunately, my team finally fixed them. But the VP did not see this as a sufficient solution. He saw a break in communications and our organizational structure that exacerbated the problem more than it should have been. I also remember saying the words, “This is ultimately my responsibility and I take the blame. I will continue working with our teams to come up with a better solution.” And I think I might have even uttered the words, “I fucked up” in there too. My face was red and hot. I thought that was the end of my career at Yahoo!. I imagined getting a call from HR and being shown the door. Part of the problem was that I didn’t catch this issue sooner, and I didn’t do that because I was overwhelmed by a large team. I knew that, and so did the VP. Eventually, a long-term solution was implemented. There was a reorganization of my department. The incident wasn’t solely in my team, it was endemic to my department and the nature of our relationship to other teams at the company. While the reorg was a bummer to many, and resulted in a smaller, more focused team for me, it made sense from an organizational standpoint. The VP didn’t blacklist me or have me fired. The incident taught me to be cognizant of my strengths and weaknesses, to balance my stretch goals with my abilities, and to think holistically from an organizational standpoint. As a crucible, it was damn tough – it was one I will never forget. Describe any relationships, such as those with mentors, that had a transformative effect on you and your leadership. What did you learn from that relationship and how did it shape who you are? I’ve never had a formal mentor, though I’ve always wanted one. In lieu of that, I’ve always looked at people that inspired me and emulated their effective traits. Throughout my career, I’ve been lucky to have lots of great managers. Each excelled in some way. 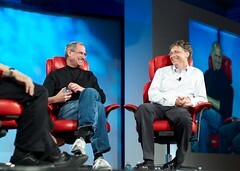 One is a technical genius with fantastic foresight into the high-tech industry, another is relentlessly customer-focused and data-driven, and another knew how to play the game of office politics well (I wish this knowledge wasn’t necessary or useful, but in large corporations, it sadly is). Each has enhanced my world view and repetiore of skills. I can’t say I replicate them as well as these managers do, but I strive to. Each also challenged me, both directly and indirectly, to stretch past my comfort zones and evolve my skills. For that, I am eternally indebted to these inspiring individuals. Describe any other experiences that triggered significant leadership development. While serving as the president of a cultural community service club in college, I was responsible for a street carnival. Unfortunately, I overslept that day. Since I’ve already written about it, I won’t go over all of the details. But it was definitely a harsh learning opportunity. All in all, I would say I’ve had a lucky life. Now that I’ve formally started a profitable business of my own, I expect to face more crucibles. And I look forward to them. In looking back on those experiences, what did you learn from them? The debacle in college taught me to delegate properly, have faith in my delegates, and to make sure I get a good night’s rest before a big event. In what ways have they helped you to grow? They’ve all stretched me and taught me management skills. Be aware of the whole situation. Understand our dependencies and consequences. And like the Boy Scouts, Be Prepared. How can you use these experiences to reframe your life story and to understand yourself and your life more fully? Are there ways in which these experiences are holding you back today? One pattern I’ve noticed in my life is the constant push outside my comfort zones. I am and have always been an ambitious and demanding person. I always strive for personal success and demand a lot out of myself. Because of this, I frequently push myself outside my comfort – and ability – zones. So when I fall far outside of my abilities, the consequences can have quite an impact. Don’t get me wrong. Mistakes are good. Mistakes are fantastic learning opportunities. I celebrate a culture that allows experimentation, self-improvement, and forgiveness of mistakes. However, there’s a practical limit to how disastrous a mistake can be. If it kills your organization, lands you in a lawsuit, and ends your marriage, that’s not a good kind of mistake. So as I continue to push myself, I will need to be mindful of my abilities’ limits. Are you on “the hero’s journey”? Do you ever see yourself as the hero of your own journey? I’ve always felt myself on a journey. The destination is surprisingly clear too, though I know I have to work hard for it – to be a good father and husband, to be an entrepreneur and business owner, to enact some kind of long-lasting beneficial change to my society and environment, and to leave a legacy. However, I wouldn’t use the label “hero” for myself. That’s a little much. I see myself more as a catalyst that enables others to help make the vision a reality. Though, I’d sure love to be a hero to my kids one day. Have you made the transformation from “I” to “We”? If so, what triggered this transformation for you? Dependence – We all start life being dependent on someone else, like our parents. Some remain at this level their whole lives. Independence – Many strive for this level. For some, this means self-reliance. For others, it means being a loner. Interdependence – Few reach this level. This is when you realize and behave as if the sum of two or more people (such as a spouse, teammates, etc) is greater than the parts. While being a manager, I learned the power of interdependence. That may seem odd, since one view of a manager is as an autocratic entity working alone to control others. But that’s not always so. My management philosophy means working closely with my team and, in many ways, letting them lead the way with me in a supporting role – a catalyst for their ideas. If you have not yet made this transformation, what would have to happen in your life and leadership for a transformation like this to occur? I would say I’ve made that transformation already.